I had an ASRock M8 that was prone to these issues and eventually just stopped working last week, so I took the video card and hard drive and built this new computer with no ASRock parts. Overall this case doesn't look quite as cool as the M8, but the layout for the parts inside is a little more sane to work with. Another bonus, this new case allowed for a full size power supply. The small and unimpressive 450 watt power supply of the m8 is why I have a gtx 1070 and not a 1080 video card (it didn't supply enough power). With 650 watts now I should have plenty of power when the next gen nVidia cards come out and I'll probably upgrade to the top of the line. Lastly, the m8 was only available as a barebones system so I was stuck with the ASRock mobo which eventually died (and had to be sent in for repairs once before that). This case allowed me to choose all my own parts. This case is SMALL! Making things fit will be difficult. Your PSU must be modular, and even still getting all the cables in will be difficult. You MUST do nice cable management; normally I care very little how the cables run (as you can see in some of the earlier pictures), but I was unable to close the case w/o having cables hitting fans until I did proper cable management. You should start out with proper cable management in mind and save yourself some redos. If you can use the motherboards m.2 slots for the small form SSDs, your life will be easier since it doesn't require any more cables. In addition to the Samsung PRO m.2, I have a regular 3.5 SSD in here as well (from my old computer), and managing the SATA and power cables for it was barely feasible. PCPartPicker will say that this CPU Cooler and case combination will not work, and they are right. You will have to replace the fan on the Cooler Master radiator with the slim 120mm case fan. Make sure to get get one that does PWM; I accidentally ordered a DC one to begin with and it was LOUD! As it is now with the PWM 120mm fan, the PC is actually pretty quiet. I went through 2 other CPU coolers before settling with this one. I originally went with the Cooler Master GeminII M4 suggested in another build with this case, and it did not fit due to the RAM stick's heat sinks. There's not enough clearance and the heat sinks on these particular RAM sticks are not easily removable because of the RGB lights. If you get RAM w/o heat sinks, the GeminII M4 cooler might work for you. Next I tried the CRYORIG C7 cooler suggested some other builds. While it fit, the temperatures were awful. CSGO had the CPU hitting 100 degrees and throttling in no time, even at stock CPU clock rates. This liquid cooler does very well (even with the slim fan), and keeps the CPU below 80 degrees even when overclocked with the ASUS XMP default profile. However, getting it to fit is BARELY possible. As it is now the slim fan is resting against the top of the RAM sticks; so be prepared to spend some time trying to fit this thing in there. Lastly, the SilverStone manual for this case is terrible and has basically NO instructions. Some of the instructions are literally no more detailed than "How to install <part>: Install <part>" and a singular picture with the part installed (if you're lucky). Be prepared for some trial and error and refer to the motherboard manual wherever possible. Now that this thing is built, I'm very happy with it. It has a lot of power and I can't wait to put an even beastlier GPU in this thing when the crypto craze dies down. As is, I usually max out the frames of any game at 144 FPS with gsync and 1440p. For programming projects, the fast and plentiful RAM and NVMe SSD are just amazing. Update I recently upgraded the video card in this build (as of 11/2018) with a GeForce 2080 TI RTX. Doing so caused shutdowns under load, so I also upgraded the PSU from 650W to 850W, which fixed the problem. Definitely not a necessity. There's also three 3.5 bays for regular SSD if you want to use them; although the wiring is a bit trickier. Nice little built, but why did you buy the 2t? $1250? Your Asus motherboard has a double decker m.2 and two 1T m.2's are $450 Cheaper and i believe it can run them in raid. You could have gone for a 1080ti for the price of the GTX1070+4450. no? I just needed the space. My old 3.5 SSD was 1tb and was packed full, so I knew I'd need at least 1tb and wanted the ability to add more space in the future if I want to use that other m.2 slot. Also, for that extra space I'd have to run RAID 0, which I just think is unnecessarily risky for my work computer; if anything I'd do RAID 1. The video card was bought 2 years ago, it's from my old computer. I'm planning on waiting until the next generation nVidia cards are out before upgrading. Unfortunately I forgot to take pics of probably the most important part of the cable management, and that was how I ran the cables underneath and around the video card. I had more issues with cables and fans there than I did around the CPU. 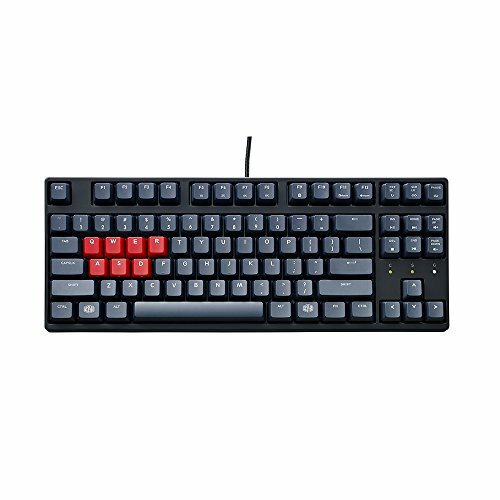 CM Storm QuickFire Stealth. Just added it to the build list. Are you also pulling high 70s and low 80s on your chip? can you add hhd 4tb 15mm? Hey snapwich, what screws did you use to attach the slim fan tonthe radiator and the top case? I gave up on this very cooler in my FTZ 01 build because I thought it didn't fit and then I found you pulling this off. I am encouraged to yry it again if you.could give some more pointers on cables and attaching. Thanks. I don't remember what screws I used, tbh. I do know that the screws I used definitely came with some of the parts, be it the fan, cooler, case, or motherboard as I didn't have to attain any additional screws to build the machine. The cabling is as seen in the picture with the water block on the CPU; the water conduits just coiled around the block. It was a VERY tight fit. Thanks for the late reply, snapwich. As it turns out, I ended up figueing out the coiling trick just like you did in my own build, I just shoved the coiled up water conduits into the corner of the case instead of around the watercooling block. The point is that it can be done seeing as how we both managed to do it. No OC. Here are the temps under maximum load.. The AIO was very hard to fit, but it did fit with the slim fan. 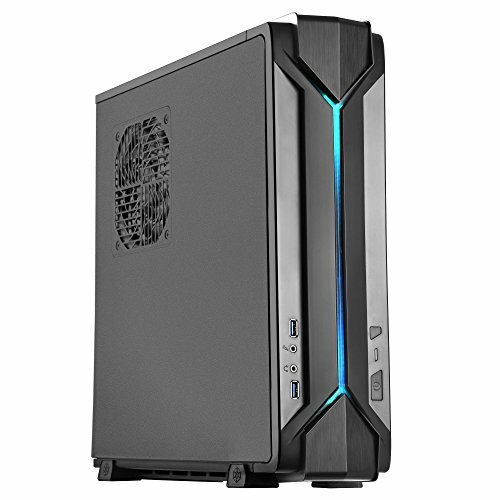 I would like to know how well the aio cooler perform. Could you provide with some pictures of temps while stressing? and how did you manage to cramp the tube in the case? 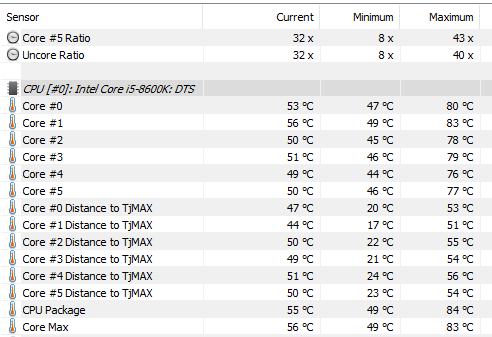 Here are the temps after running y-cruncher for multi-threaded pi calculation. With a regular air cooler my temps were getting over 90 C and being throttled to prevent overheating. The liquid cooling keeps it around ~85 C under maximum stress with no throttling. Fitting the tubes in the case was a task, but it can be seen in one of the pictures. The water cooling tubes are wrapped around the water block. I’m doing a similar build, and went with the same cooler setup. 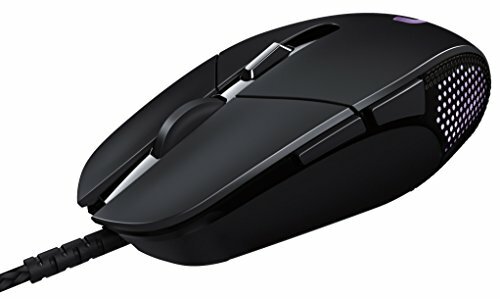 Do know if the AIO fan will work for either push or pull? Do you have it set up for intake or exhaust also? No clue on the push/pull potential. Mine blows through the radiator and out of the case. 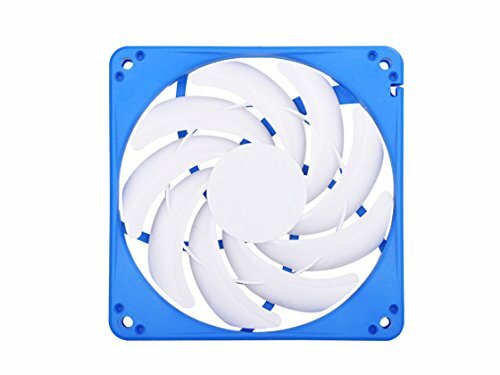 Do you think the I5-8600k would run fine with a Noctua NH-L12S air cooler? What about with an MasterLiquid Lite 120 paired with an Noctua NF-A12x15-PWM? I am currently trying to cable manage my RVZ03/ MasterLiquid Lite 120 build also, and am having issues getting the rad/fan to sit, and my cables by the GPU are a disaster. Any tips on routing or how to tie them? Also did you use a splitter on the 2 case fans Silverstone included with the case? don't know what to do with mine. I crammed as much wiring as I could in front and around the PSU; that's pretty the only spaces free that are guaranteed not to be in the way of fans. For the CPU Cooler, you just have to coil the water pipes around the block and then the fit is really tight. Also, I don't know if you noticed, but in the description I mention that I swapped out the MasterLiquid Lite 120 fan for a slim fan; it won't work otherwise.